Save up to 15%* on a new perpetual license of AutoCAD LT 2016 purchased with a multi-year Maintenance Subscription before 17 October 2015. Remember, after 31 October 2015, new perpetual licenses for individual AutoCAD LT software products will no longer be available for purchase. Act now and save up to 15%* on a new perpetual license of AutoCAD LT 2016 purchased with a multi-year Maintenance Subscription. Desktop Subscription pay-as-you-go licenses are available now and after 31 October 2015 on annual or multi-year basis. Get all the tools and features of the latest software version for one low price. You have the chance to save up to 25%** when you purchase a Desktop subscription license of AutoCAD LT with an annual or multi-year terms before 17 October 2015. Updated tools for smoother lines and arcs, plus new tools such as Smart Dimensioning and Enhanced PDFs. 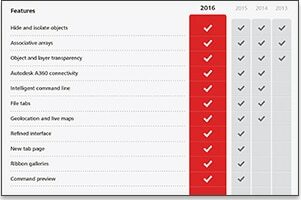 See how much more you can do with AutoCAD LT 2016 vs previous release years. Try out the new features for yourself with a free 30 day trial of AutoCAD LT. Desktop Subscription pay-as-you-go rental plans are a full version of the most current software release, without the large, upfront cost of buying a one-time software license. Annual pay-as-you-go plans are available. Talk to your reseller about new multi-year subscription or to secure subscription benefits for your perpetual license. No long term contract plus the latest features and tools, always. Get help from our experts with round-the-clock support options. Pay-as-you-go plans available on a annual or multi-year basis. 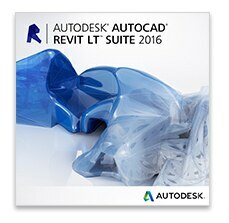 Includes AutoCAD LT and Revit LT. For those who want to explore BIM at their own pace. 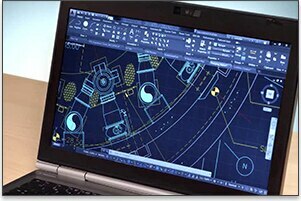 Includes AutoCAD LT and Inventor LT.For those who want to add 3D mechanical CAD to 2D drafting. *After 31 October 2015, perpetual licenses of the following Autodesk® AutoCAD LT® Family products will no longer be available for sale in selected Asia Pacific countries (Bangladesh, Bhutan, Brunei, Cambodia, China, Hong Kong, India, Indonesia, Korea, Laos, Macau, Malaysia, Maldives, Myanmar, Nepal, Philippines, Singapore, Sri Lanka, Taiwan, Thailand and Vietnam): Autodesk® AutoCAD LT®, Autodesk® AutoCAD LT® for Mac®, Autodesk® Inventor LT™, Autodesk® Revit LT™, Autodesk® AutoCAD® Inventor LT™ Suite, Autodesk® Revit LT™ Suite. Customers who purchased perpetual licenses, of Autodesk® AutoCAD LT® Family products before 31 October 2015, will be able to continue to use that license. Customers who have a perpetual license with Maintenance Subscription will receive software updates and corresponding benefits for as long as the subscription remains active. New seats of most individual software products, excluding Design and Creation Suites, will generally be available only as pay-as-you-go Desktop Subscription options globally after 31 January 2016. Learn more. 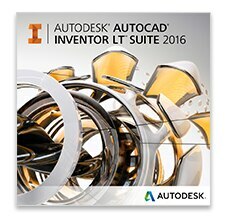 *Up to 15% off Autodesk’s Suggested Retail Price (SRP) for a new perpetual license of AutoCAD LT software products (Autodesk® AutoCAD LT®, Autodesk® AutoCAD LT® for Mac®, Autodesk® Inventor LT™, Autodesk® Revit LT™, Autodesk® AutoCAD® Inventor LT™ Suite, and Autodesk® Revit LT™ Suite) when purchased with a multi-year Maintenance Subscriptions. SRP is Autodesk’s suggested retail price (excluding freight, handling and taxes) for the specified product in your region. SRP is used for reference purposes only as the actual retail price is determined by your retail outlet. Contact your local participating outlet for more information. Actual savings may vary due to local currency conversion, taxes and other factors. Offers available from 7 August 2015 through 17 October 2015. 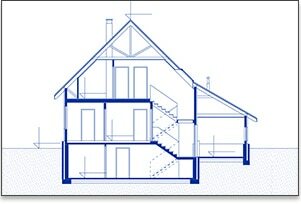 Full product list, details and restrictions at www.autodesk.com.hk/promoofferconditions. Cannot be combined with Major Account pricing, Government pricing, Employee Purchase program or any other discounts. AUTODESK RESERVES THE RIGHT TO CANCEL, SUSPEND OR MODIFY THIS PROMOTION AT ANY TIME WITHOUT NOTICE, FOR ANY REASON IN ITS SOLE DISCRETION. PRICES FOR AUTODESK SOFTWARE ARE SUBJECT TO CHANGE. Autodesk, the Autodesk logo, AutoCAD, AutoCAD LT, Inventor LT, and Revit LT are registered trademarks or trademarks of Autodesk, Inc., and/or its subsidiaries and/or affiliates in the USA and/or other countries. All other brand names, product names, or trademarks belong to their respective holders. Autodesk reserves the right to alter product and services offerings, and specifications and pricing at any time without notice, and is not responsible for typographical or graphical errors that may appear in this document. ©2017 Autodesk, Inc. All rights reserved. Please feel free to leave your callback number. We will contact you during standard working hours – from Monday to Friday, 9.00 - 17.00.